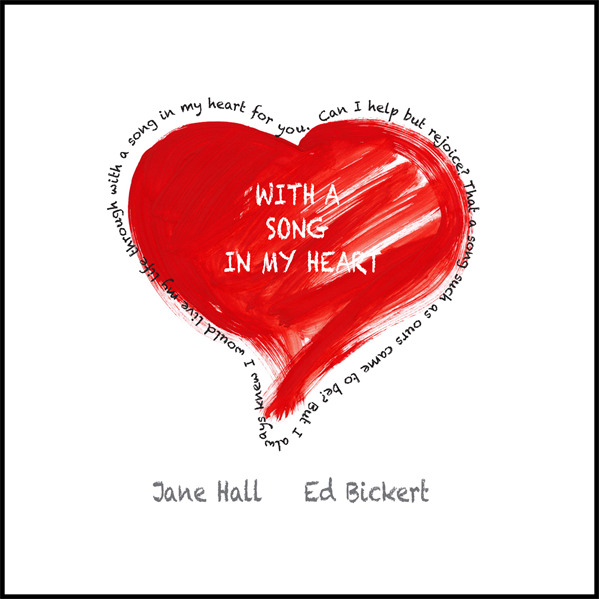 Jane Hall with Ed Bickert CD of love songs recorded as a valentine for Jim in 1985. A beautiful collection of standards performed with exquisite artistry by Jane Hall and Ed Bickert. Jane Hall radiates pure music. In addition to her gorgeous voice and masterful phrasing, this recording offers a window into Jane's musical universe - the song choices are unique and beautifully arranged, the recording, intimate and inviting. And at the core of each song is the highest level of listening and interaction between her and Ed. This music comes to life with tremendous grace and presence on this recording and I can't believe how lucky we are that this now exists in the world, and brings the music to life like no other. At the core of every song, is the most remarkable capacity for listening between Jane and Ed that is sublime. Her overarching musical vision is so alive and vibrant. The songs she chooses, the way she renders them, is so powerful and offers an insight to the . This is simply one of my favorite musical experiences.